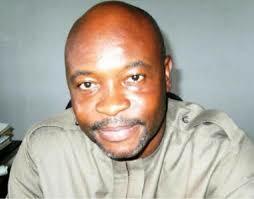 Imo State All Progressives Congress (APC) governorship aspirant, Chuks Ololo, has said that he is not in the race to be the next governor of the State based on the zoning arrangement, which favours indigenes of Owerri zone. Ololo, who picked his expression of interest and nomination form for the race at the APC National secretariat in Abuja, noted that he is in the race because he believes that he has something to offer and the capacity to put Imo State on the wheel of progress again, not because he is from Owerri zone. He further urged the electorate to shun the sentiments of voting based on zoning, but ensure that they voted for the right and capable person to liberate the people from their challenges, adding that he offered himself for the position because of his desire to transform the State. “I am running for the governorship of Imo State on the platform of APC to help bring about change and that change will affect Nigeria if Imo is changed because the State is a very big component of Nigeria. “One thing I must do first is to go back to the foundation that was laid by those who created Imo State. There is a vision behind the State and my government will actualize that. We used to be the academic hub of the zone, but today Imo has lost that status. We must go back to look at how things went wrong and what would be the remedy. My target would be on the revamping of education in Imo State. “Also Imo State would be transformed into a technology hub of Nigeria. We must work to export technology to the outside world. We must begin to define what we would do with our natural resources in Imo State and produce to stabilize our economy. “I believe we are in a democracy, that an aspirant is anointed by someone does not change the fact that the race is open to all. Nigeria has matured to full democracy, so it is left for the people to determine who would be their leader. On zoning, he said: “First of all, I am not running my campaign based on the zone I come from. I am an Imolite and we have always believed in the best. I am not saying that I must be Imo State governor because I am from Owerri zone. What I am saying is that if the people see that I am not competent, they must not vote for me because I am from Owerri zone.